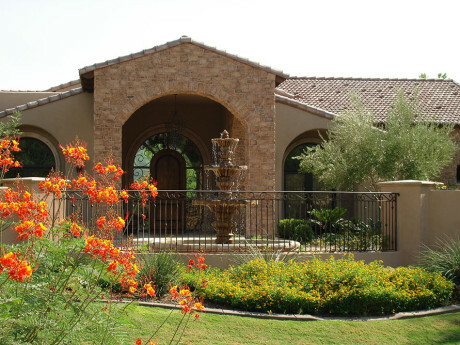 At Southwestern Native Landscape, Inc., we feel your landscaping should reflect your lifestyle. 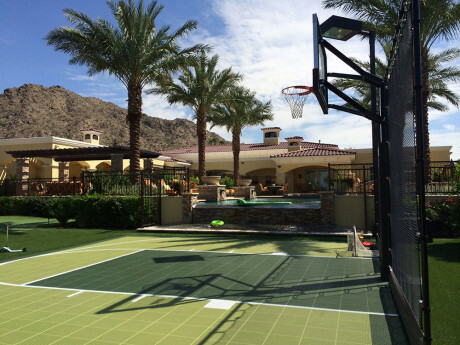 We specialize in high-end, custom landscape design and installation; anything from a basketball court to a putting green falls within our area of expertise. Trained in horticulture specific to our region and climate and knowledgeable in landscape lighting, we are well equipped to create beautiful custom landscapes. Our team can seamlessly transform a basic concept into a polished product that both we and the client are proud to put our name on. 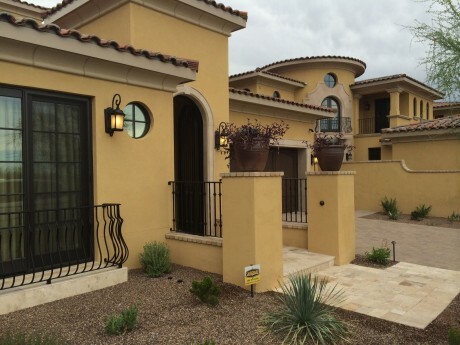 Additionally, we excel in residential maintenance to preserve the integrity of your masterpiece. 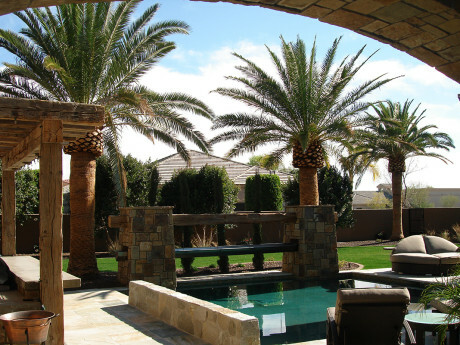 Southwestern Native Landscape, Inc. is dedicated to superior workmanship that has come to define the standard for luxury landscaping in the Valley. 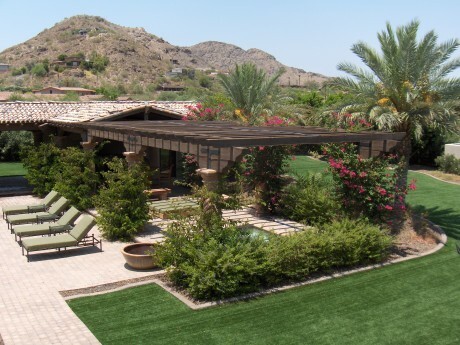 With a longstanding commitment to excellence in our craft, we have served as the premier source for luxury landscaping in Paradise Valley, Scottsdale and Phoenix since 1999. 2018 & 2017 ALCA Award Winner! The Presidential Award is given to a project that demonstrates the highest level of excellence & creativity. 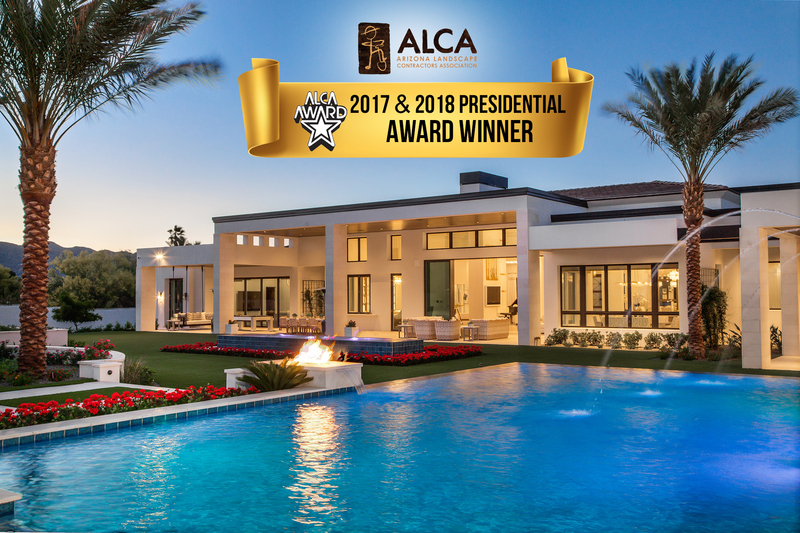 This award is the “best of show” landscape project chosen from over 90 projects that were submitted across the entire state of Arizona. This prestigious award was presented to Craig Giffen with Southwestern Native Landscaping, Inc. for 2 years in a row, 2018 & 2017. View Award Projects & Images. Thanks for making our backyard an awesome wonderland. You are truly the best. Southwestern Native took the time to work with me on how to successfully bring my ideas to fruition. Their experience and expertise were invaluable and the end result still takes my breath away. I sit on my breathtaking patio every morning, drinking my coffee and enjoying the view that Southwestern Native Landscape created for me. I cannot imagine that there is any alternative to the caliber of their products and service.